After being acquired by Facebook a few months ago, the future of the popular photo-sharing Instagram was uncertain. Fast-forward to the present and Instgram shows no signs of slowing down, with the app closing in on an impressive 100 million users. Today’s major Instagram update for iOS and Android brings the app to version 3.0. The update brings a cool new feature called ‘Photo Maps’, adding the ability for you to share your pictures on a Google Map overlay. The new Instagram maps feature gives users an attractive new way to see what their friends are posting on Instragram and where they are posting it from. The geo-tagging element may turn off some privacy conscious users, but Instagram makes it easy to decide which photos (if any) you’d like to share on your map. 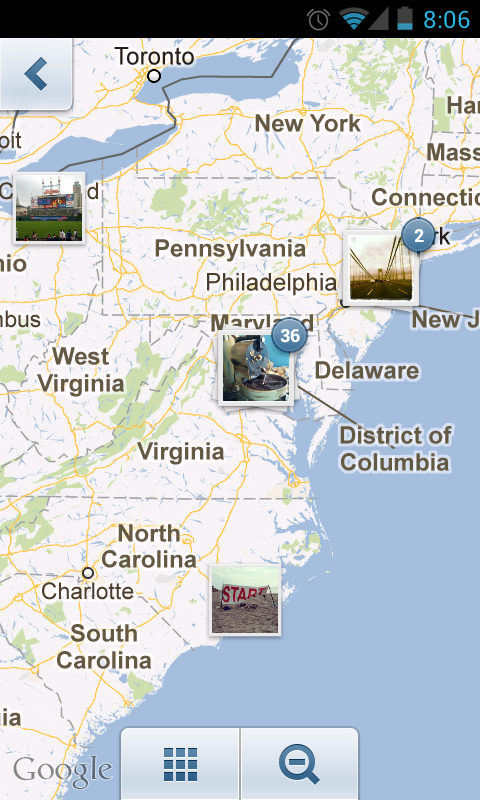 Along with the Photo Maps feature, there have been a raft of other changes as well. Instagram is noticeably snappier and there is now infinite scrolling so you don’t ever get to the bottom of your photo feed. The share menu also appears to have been revamped with the added option of Photo Map and new social toggles to determine which of your social networks get posted to upon upload. Check the video below to see the app in action. So what do you guys think about this latest Instagram update? Are you concerned about privacy or just happy to see the addition of some new features?